« Too much fun? Quite possibly! Ready to cut you down! This took a little over 4 hours to complete and is another reflection of great films from my childhood. The pose of this reaper was inspired by Brad Pitts performance as Louis in Interview with the Vampire. 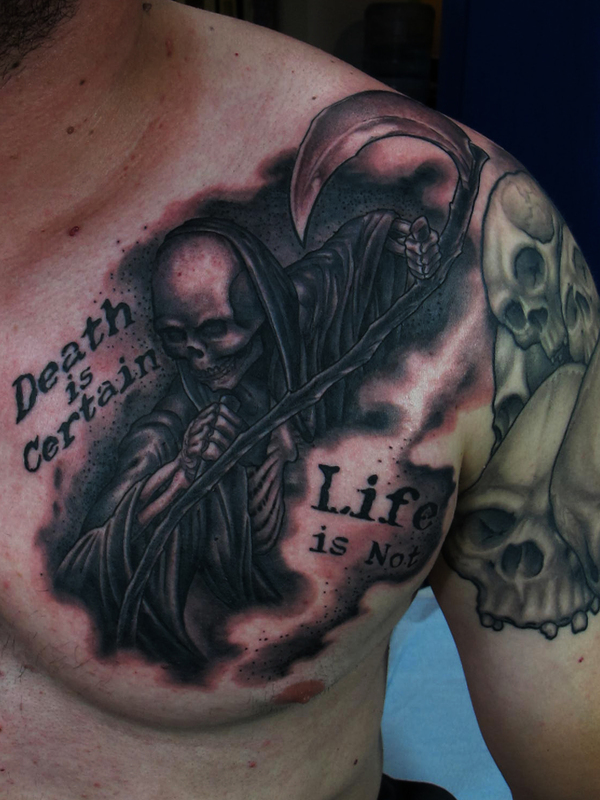 This entry was posted on April 7, 2012 at 2:04 am and is filed under Tattoo with tags Death, Grim Reaper. You can follow any responses to this entry through the RSS 2.0 feed. You can leave a response, or trackback from your own site.